I was born and raised in Illinois, ordained a priest after many years of study at St. Francis Seminary, Milwaukee, Wisconsin. Among my assignments, I served as a pastor at Sacred Heart Parish in Sterling, Illinois and Superintendent of Newman Central Catholic High School in the same city. The Spirit moved me to take early retirement from the active ministry in order to help people with special needs. Also, I chose to receive the Sacrament of Marriage myself…one of my finest decisions ever! We started a Marriage Ministry along with officiating at funerals, baptisms and assisting the sick and the dying. To be totally free and happy is, indeed, a mystery. 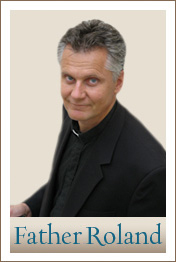 Father Roland was born in Lithuania, ordained a priest following graduation at the Kaunas St. Thomas Aquinas Seminary in Lithuania. After serving as a parish priest for six years, Fr. Roland obtained a graduate degree at the Gregorian Pontifical University in Rome, Italy. Upon his return to Lithuania, Fr. Roland obtained his Doctorate in Philosophy and Theology and started teaching at the Kaunas Seminary as well as the University of Vytautas Magnus in addition to running a catholic parish. In 1987 Fr. 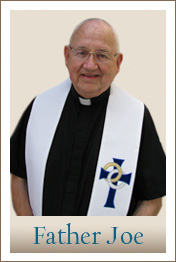 Roland retired and joined Fr. Joe in providing wedding ministry. Fr. Roland is fluent in Lithuanian, Russian, English and Italian.